A biennial that closely resembles a typical garden carrot during the first year of growth. 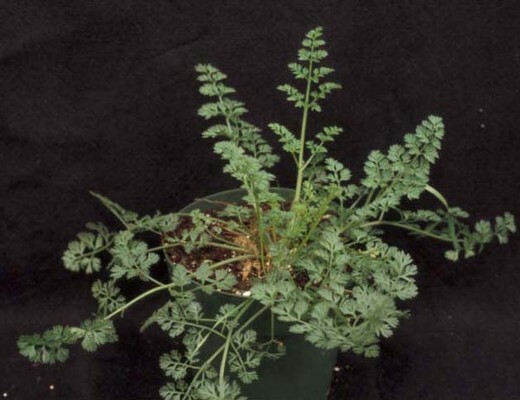 During the second year of growth, the plants produce stalks with white, flat-topped flowers. Found throughout the United States. 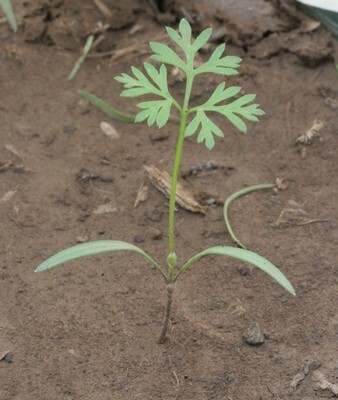 Cotyledons are linear, and may be mistaken for an emerging grass seedling. Cotyledons are without hairs, do not have petioles, and taper at both the base and the apex. A rosette of lobed, deeply dissected leaves are produced during the first year of growth. 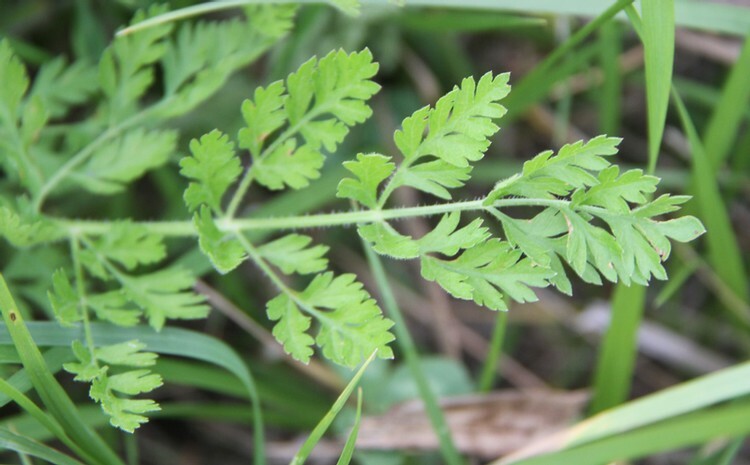 Leaves have long petioles, are without hairs on the upper surface, and may have hairs on the veins and margins of the lower surface. Leaves on the flowering stems produced during the second year of growth are alternate, oblong in outline, with lobed segments. 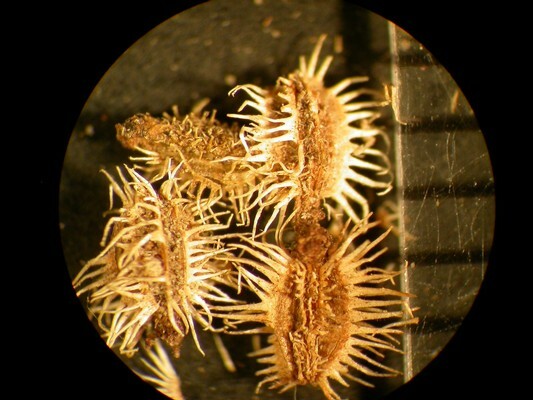 Produced during the second year of growth, hollow, with hairs. 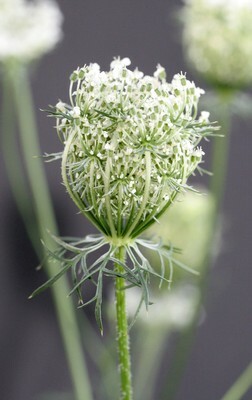 Many white flowers occur in a cluster where the stalks of each flower (pedicels) all arise from a common point (an umbel). 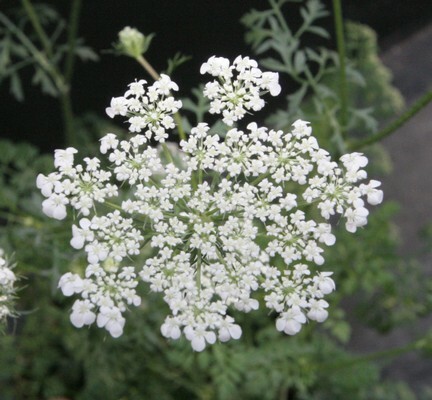 However, this gives the appearance of a single, flat-topped white flower. A solitary purple flower often occurs in the center of the umbel. These umbels may curve inward at maturity producing a birds nest effect. 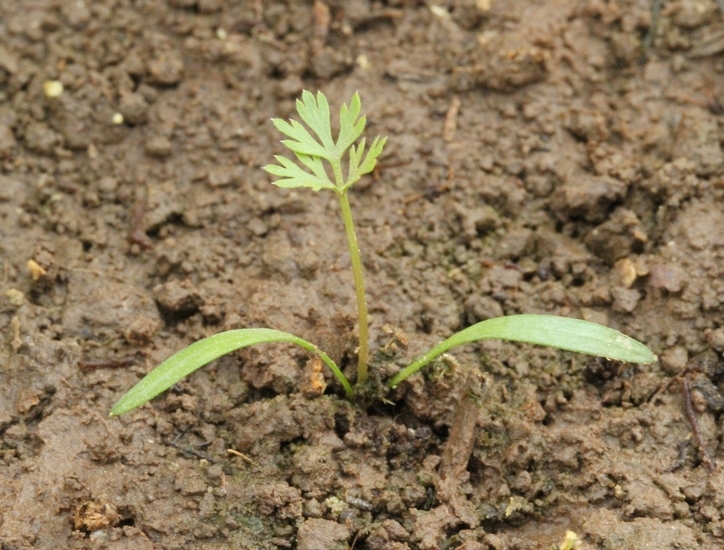 Plants resemble a typical garden carrot during the first year of growth and produce white, flat-topped flowers with a central purple flower during the second year of growth. 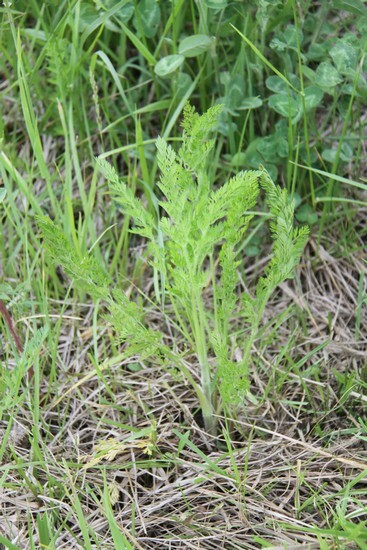 Wild carrot seedlings are similar to Common Yarrow (Achillea millefolium) seedlings, however the cotyledons of common yarrow are egg-shaped unlike the linear cotyledons of wild carrot. 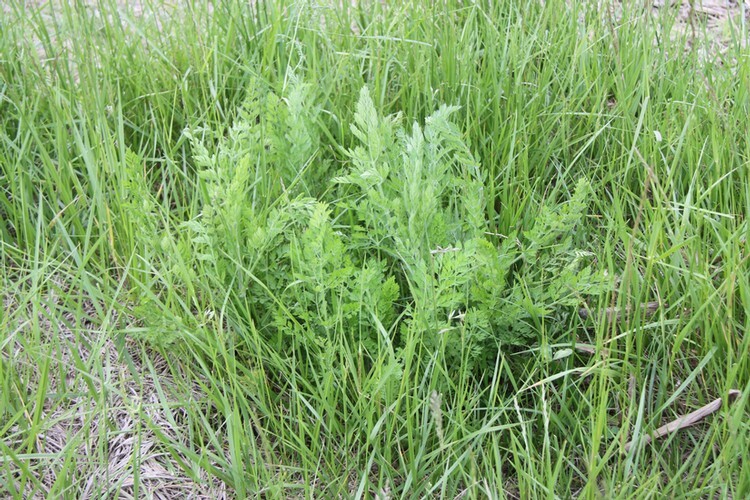 Additionally, mature Poison Hemlock (Conium maculatum) plants closely resemble this weed but have purple spotted stems without hairs, unlike the stems of wild carrot which are hairy and lack the purple spots.